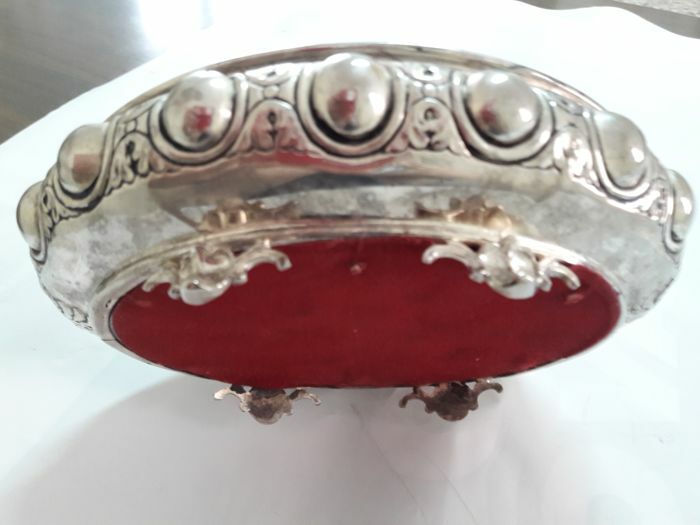 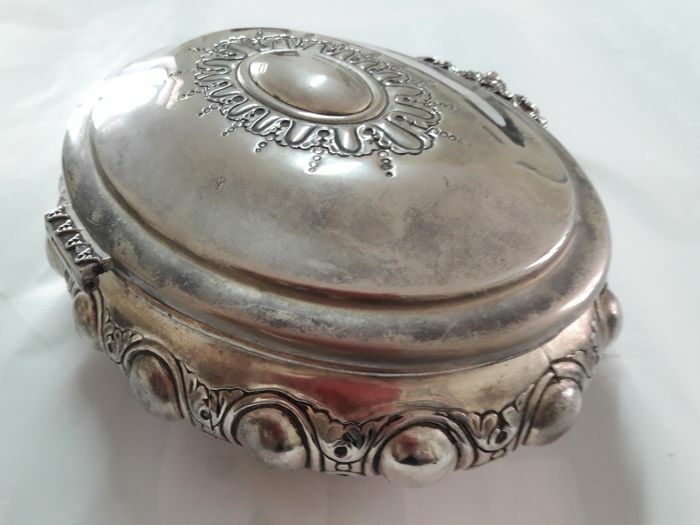 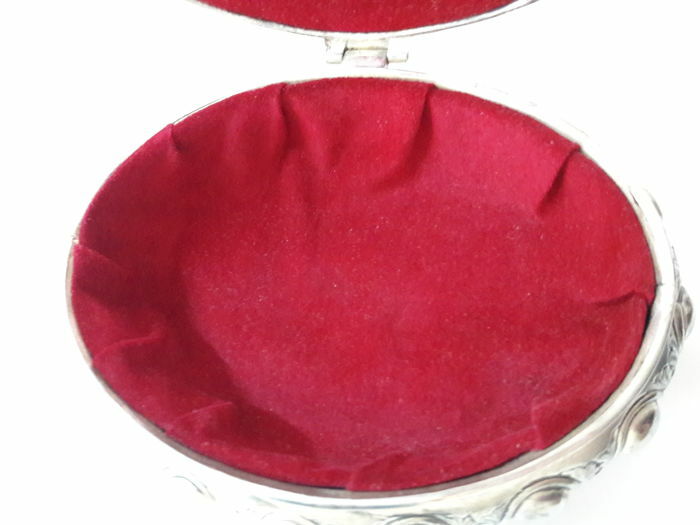 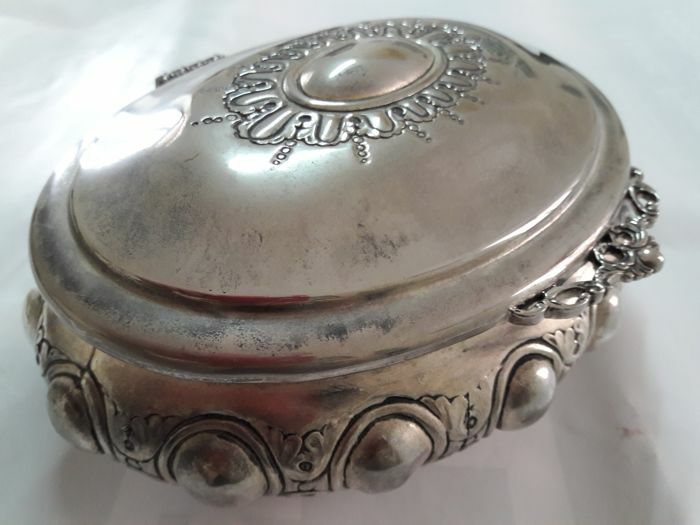 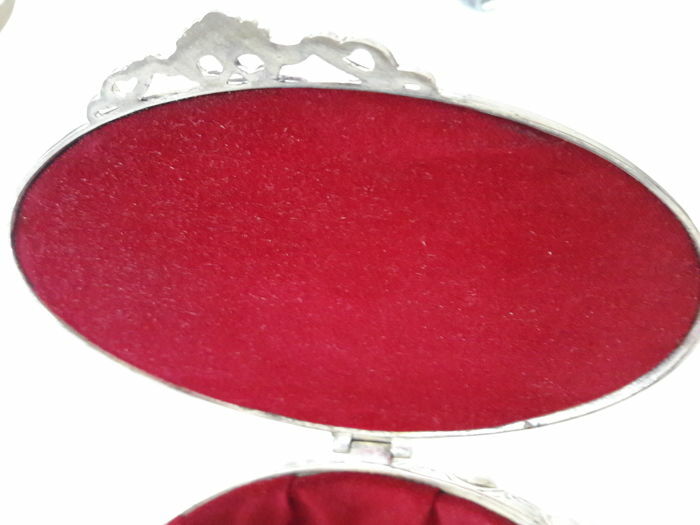 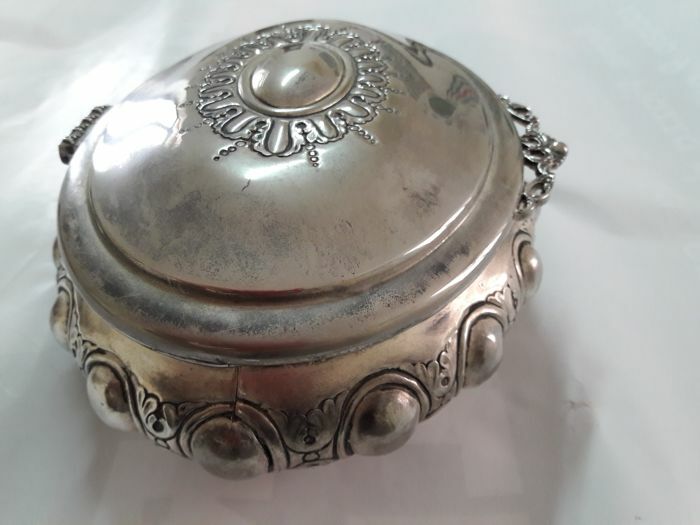 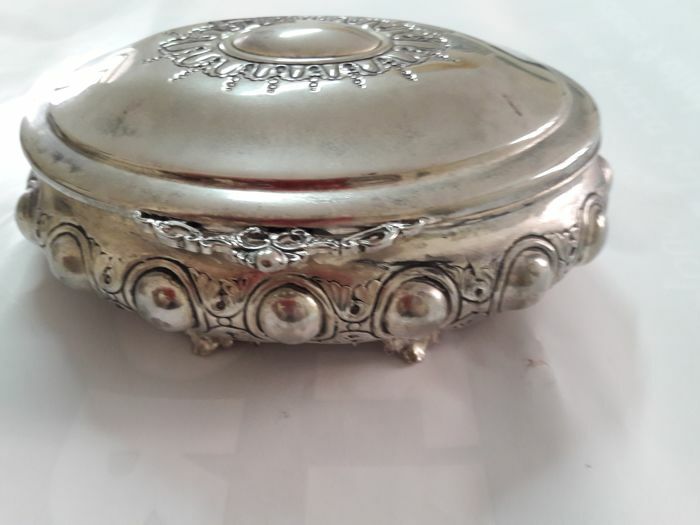 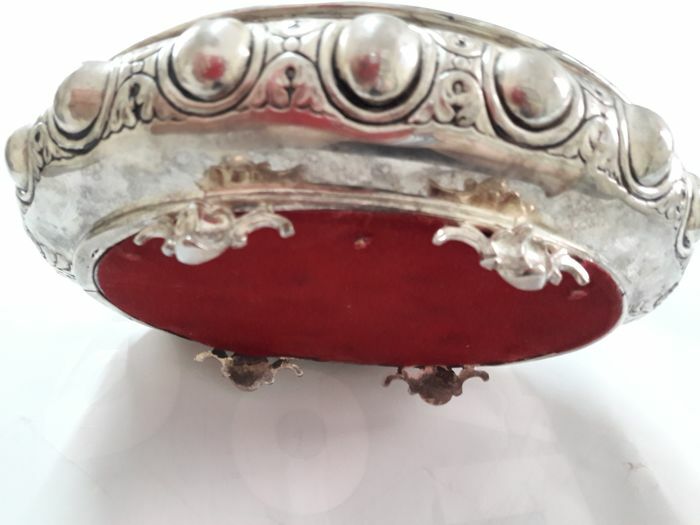 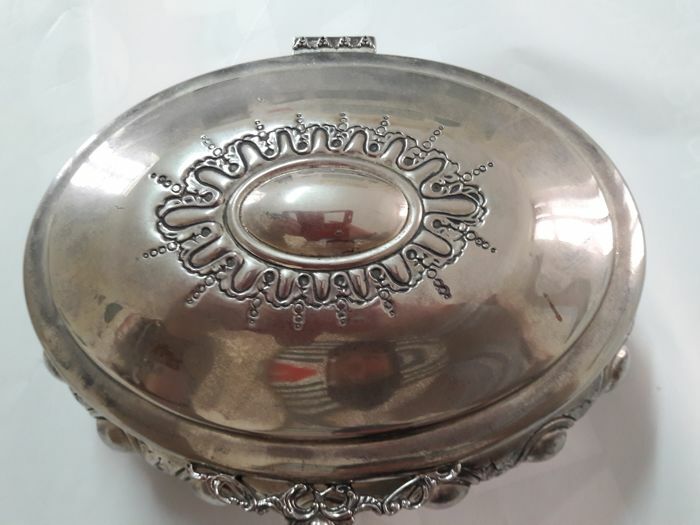 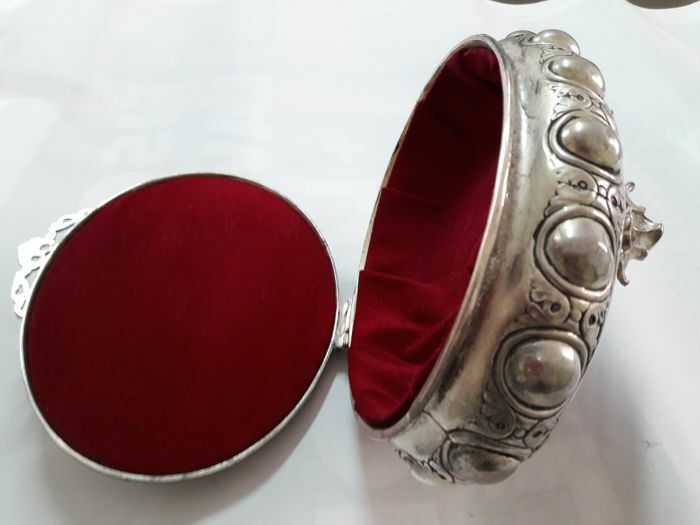 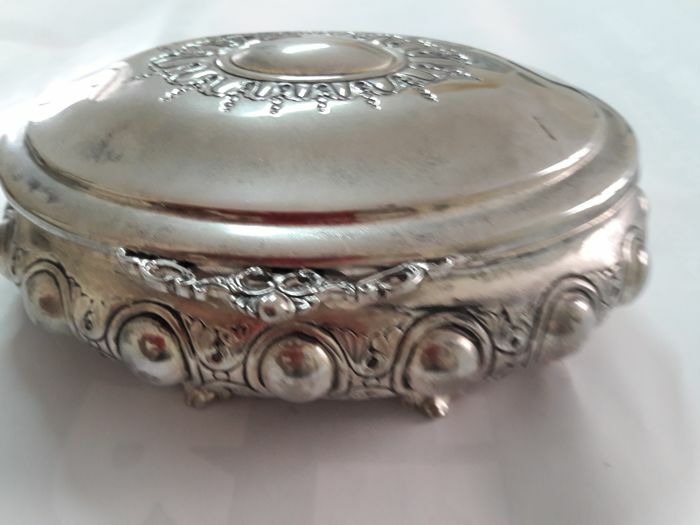 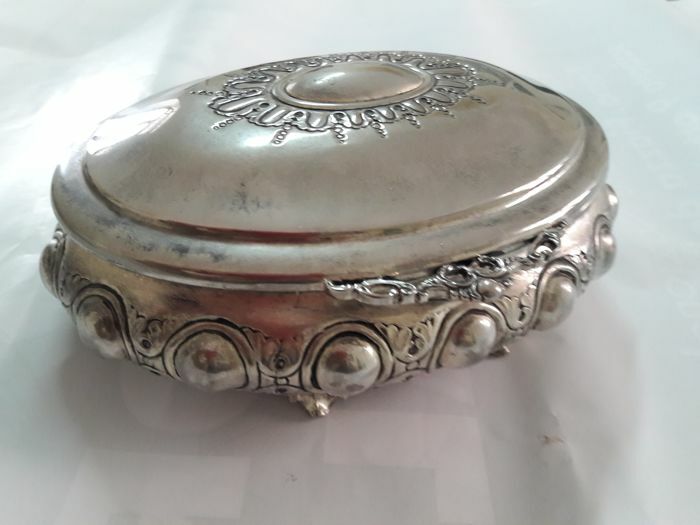 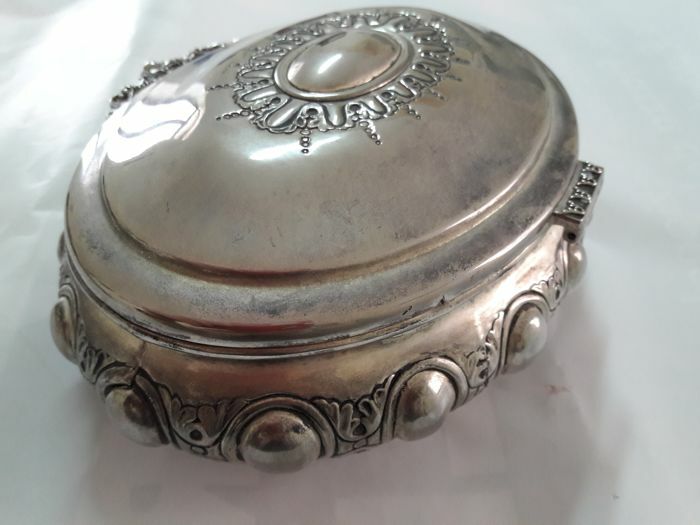 Silver plated trinket box from the 19th century. 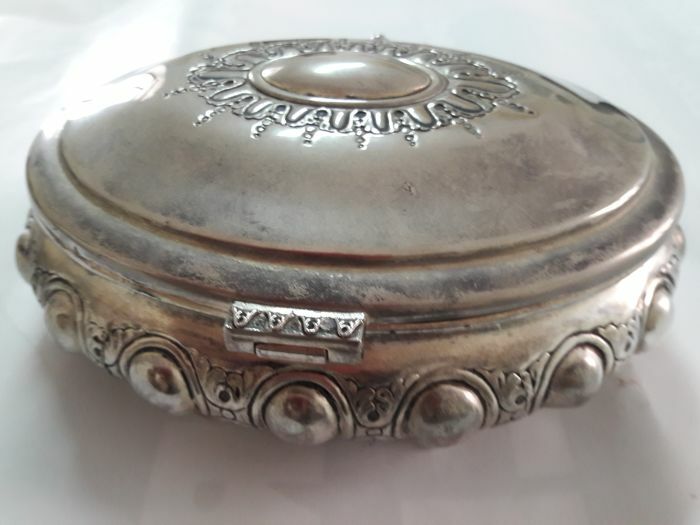 Decorated with a bas-relief. 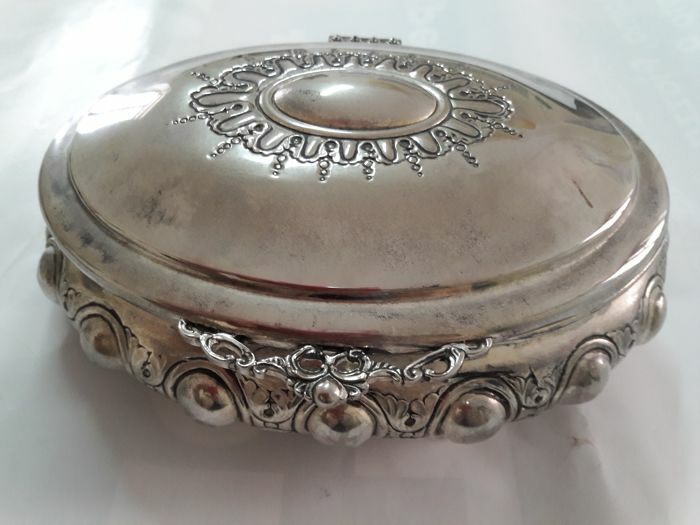 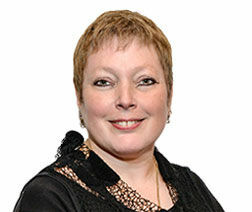 Without hallmarks.